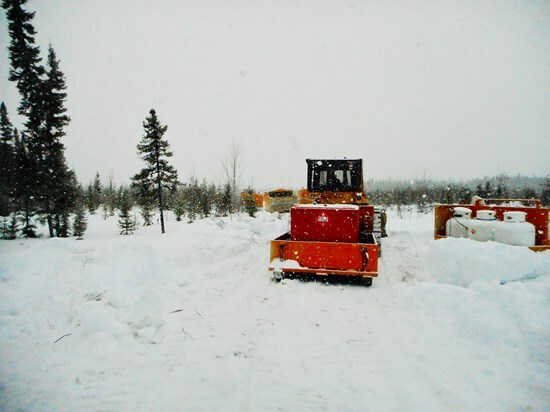 Montreal, Quebec--(Newsfile Corp. - April 3, 2019) - Maple Gold Mines Ltd. (TSXV: MGM) (OTCQB: MGMLF) (FSE: M3G) ("Maple Gold" or the "Company") is pleased to report that a third drill rig has arrived at site and has been mobilized to an area located about 1km south of the Porphyry Zone (the "Exploration Target"). 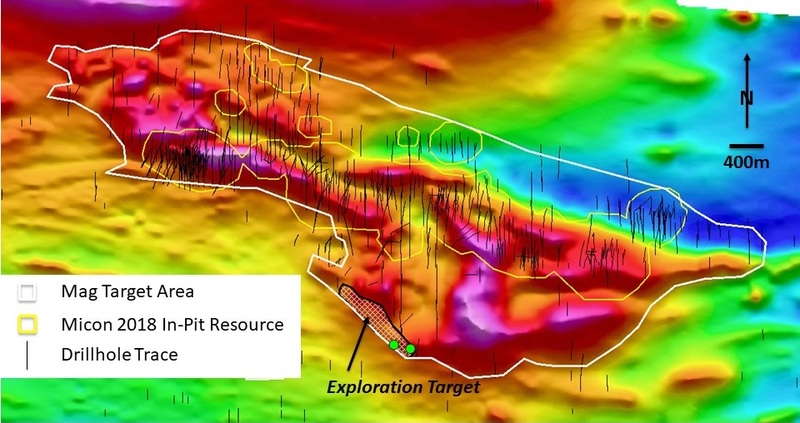 Very limited historical drilling of this target area returned several high-grade intercepts, including up to 17.5 g/t Au over 1.5m (downhole length). The Exploration Target has a very similar magnetic response to the Porphyry Zone (see Fig. 1) and is also very similar geologically with mixed syenite and basalt, i.e. containing contact style mineralisation. The nearest historical hole is found 400m to the east, and there is no further drilling for approximately 1500m to the west or northwest. Two initial drill-holes will be drilled in this area to test for volume potential of mineralisation. Maple Gold's VP, Exploration, Fred Speidel, commented: "Following up on isolated higher-grade samples in the NW Gap Area during last year's campaign resulted in the definition of the new Nika Zone. There is very limited drilling in the Exploration Target area, but we have the right ingredients there to define new gold zones and are excited to take a couple discovery shots with our 2019 drilling." The paired high/low response in Fig. 1 reflects multiple, mainly magnetically depressed, syenitic bodies intruded into magnetic basalts. There is a similarity of magnetic response in the Exploration Target area to that of the Porphyry Zone further north, and this similarity also holds true geologically. The green dots in Fig. 1 represent drill collars for the new drill-holes set to commence at the Exploration Target.